Average Height	: 23" - 27"
Average Weight	: 88 - 110 LBS. The Cane Corso Italiano is the original Cane Corso breed. It originated in Italy. Its direct ancestor is the "Canis Pugnax" (the old Roman Molossian), of which he is the light version employed in the hunting of large wild animals and also as an "auxiliary warrior" in battles. For years he has been a precious companion of the Italic populations. Employed as property, cattle and personal guard dog and used for hunting purposes too. In the past this breed was common all over Italy as an ample iconography and historiography testify. In the recent past he has found an excellent preservation area in southern Italy, especially in Puglia, Lucania and Sannio. His name derives from the Latin "Cohors" which means "guardian," "protector." Cane Corsos are intelligent, which makes them easy to train. Couple that with a willingness to please, and the ability to form a close attachment with its primary owner, and you've got a great dog on your hands. Loyal and quiet around the house, the Cane Corso is often described as active and even-minded, making it an excellent watch and protection dog. And even though it may look intimidating, Cane Corso Italiano is wonderful with children in the family because this dog is protective yet gentle. It will want to spend as much time with its family and its primary owner as possible. Right from the beginning, Cane Corso Italian Mastiff puppies must have strong leadership and training. It will pick up the basic commands quickly, so the most important part is controlling and moulding the Corso's strong protective instinct. The Cane Corso is always suspicious of strangers, so owners must never encourage aggression. As well, the Cane Corso doesn't always respond well to new things and situations, such as animals and people - you should be careful when introducing your Cane Corso to new experiences. Be sure to properly socialization your puppy to control the dog's natural protective instincts. It's important to note that the Cane Corso Italian Mastiff is not a fighting dog. It won't go out looking for a fight; however, it will not back down from a dog that tries to dominate it. This breed needs an experienced owner who knows how to establish natural authority over the dog. Once your Cane Corso is fully trained and knows what it can and can't do, this dog will be an excellent companion and family pet. Some of the most common Health Problems associated with Cane Corso Italian Mastiff dogs are hip dysplasia, Bloat, mange, and eyelid abnormalities such as Cherry Eye. To ensure that your new dog will be less prone to hip dysplasia. A light shedder, grooming the Cane Corso Italian Mastiff is easy due to its short coat. But even though there's not much of a coat to brush though, it can still be a big chore - after all, this is a big dog, and all dogs require regular daily/weekly grooming. 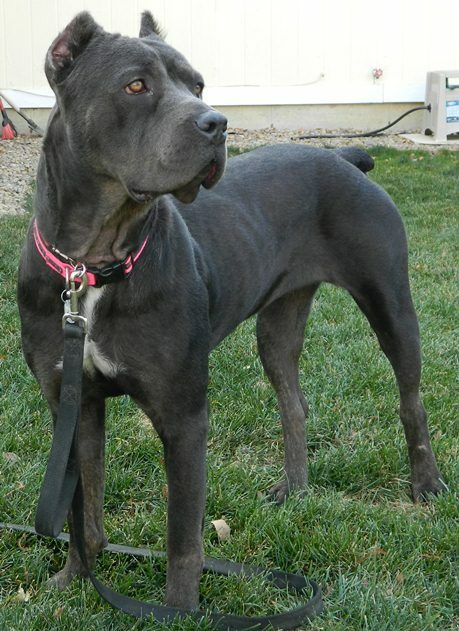 You may have heard of the Cane Corso Italian Mastiff referred to as the "coursing mastiff." This is a nod to the fact that the Cane Corso can exceed other mastiff breeds in terms of athleticism, agility, speed, energy level, and sense of adventure. The Cane Corso Italiano is athletic, requiring a substantial amount of daily exercise. That being said, it's no surprise that this breed needs a substantial amount of daily exercise. Because it boats high stamina, the Cane Corso is a great companion for long jogs or hikes. This isa a dog that does best in a house with a large fenced in yard; however, it can live in an apartment if it gets enough daily exercise. In combination with daily exercise, the Cane Corso Italian Mastiff needs personal interaction and lots of companionship. If it doesn't get enough exercise or attention, it may become destructive. The Cane Corso Italian Mastiff is best owned by an experienced handler, not a first-time owner. This is because it is a powerful dog and can be dominant. From the beginning, the owner needs to be firm and consistent at all times and assert his or her role as the pack leader. Once trained, the Cane Corso Italian Mastiff is obedient and willing to please. Agile and intelligent, the Cane Corso can be taught using a variety of training methods. You will find that your dog will be responsive to obedience training, and classes are recommended at the puppy stage. Show strong leadership while training your puppy as it is an important step when controlling and molding your Cane Corso's strong protective instinct. As well, you will also need to be careful when introducing your dog to new places and people - the Cane Corso likes the status quo, and may react strongly to new experiences. To take control of its powerful need to protect, the Cane Corso must be trained so it only reacts when a real threat is present. Be sure to socialize your Cane Corso Italian Mastiff as early as possible so it can learn to get along with other people and animals.